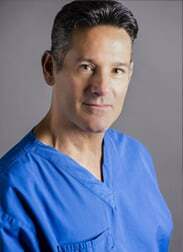 Dr. Mark Rosenberg received his undergraduate degree from the University of Pennsylvania and his medical degree from Georgetown University School of Medicine in 1988. Dr. Rosenberg completed his residency in emergency medicine where he was awarded “Resident and Teacher of the Year.” Dr. Rosenberg has been director/assistant director of several emergency departments, including Walter Reed Army Medical Center. While staying active in academic emergency medicine, Dr. Rosenberg began contemplating methods to improve healthcare, such as how to improve treatment of the cause of medical disorders, rather than just treating the symptoms. In the late 1990s, Dr. Rosenberg reviewed the literature regarding obesity drugs and subsequently developed a novel drug for the treatment of obesity, for which he filed a patent. Dr. Rosenberg’s drug development for obesity was sidetracked, when his mother presented to his emergency department with chest pain. Dr. Rosenberg diagnosed his mother with non-small cell lung cancer, that had metastasized to the liver, spleen, and bilateral adrenal glands. Dr. Rosenberg consulted with oncologists at preeminent cancer centers, where he learned the following: for most solid cancers (as opposed to leukemias and lymphomas), we have extended survival by approximately 2 months over the past 20 years. Dr. Rosenberg’s career path swiftly and abruptly changed course, toward the study of cancer. He began studying tumor metabolism and then became the program director for the first Integrative Cancer Fellowship in the U.S.
Dr. Rosenberg and his team began working with Univ. of Minnesota, and eventually filed patents, on novel monocarboxylate transport inhibitors (MCT). MCTs are responsible for transporting lactic acid outside and inside the cancer cell, which are transporters that are vital for progression of many cancers. Patent expired long ago, so there is no financial incentive to sponsor a clinical trial. Dr. Rosenberg took 2 patients with end-stage small cell lung cancer and treated them outside of the U.S. with salinomycin, achieving complete remission in both cases. As of the time this article was written, the first patient has been in remission for 4.5 years and the second for 3.5 years. Dr. Rosenberg and his team started a pharmaceutical company and partnered with a few individuals from Harvard, with the goal being to reduce toxicity of salinomycin, while improving its selectivity for cancer cells, thereby sparing normal cells. The animal studies look extremely promising, so Dr. Rosenberg merged his company with another pharmaceutical company, which will likely improve his ability to raise funds for the first human trial. Dr. Rosenberg’s career path has clearly taken an unusual turn, but he has dedicated his life to making a difference in the lives of those effected by cancer. 2003 - Present; Consultant to the National Strength and Conditioning Assoc. 1998; Certified Personal Trainer, National Strength and Conditioning Assoc. 1999; Cover of the monthly journal, "The Florida Hypnotist"
Copyright © 2015 Advanced Medical Therapeutics. All Rights Reserved.